Whether you are a young couple wanting to protect your minor children, or a retiree wanting to provide for your last expenses, it is essential to have an up to date estate plan. The bottom line is that all people will experience death at some point, and many times it can come unexpectedly. While death is a serious topic that most of us would rather ignore, it is important to plan for the unexpected to ensure that your wishes are respected and that your loved ones are protected. At our office, we understand that estate planning is a delicate matter. Whether you need a proper will drafted, or would like to update an existing estate plan, we can help you with your needs. What is an estate plan and why is it a good idea to hire an experienced attorney to draft one? An estate plan is a carefully crafted plan for how you will dispose of your property and may include a will, trust or other instruments. A will is a legal document that allows a person to dispose of his or her property after death to their heirs or beneficiaries. The person making the will is called a "decedent". A trust is a legal entity that manages your property pursuant to specified terms that are contained in a "trust agreement." The person that manages your trust is called a "trustee". A trust may be set up for any legal purpose including medical, educational, charitable, or to pass your property (testamentary). Wills and Trusts may both serve as a means for passing your property, but not all situations require a will or trust. In some situations a will substitute (such as a beneficary deed) may be all that is necessary. There are many issues that need to be considered in each case such as the amount of property to pass by will or a trust, estate taxes, healthcare decisions, guardianship of minor children, costs, etc. You may also benefit from setting up a living trust (a trust that manages your property while you are living), where some people do not have sufficient property to justify the expenses of creating any type of trust. Due to the complexity, it is essential that you hire an experienced attorney to draft your estate plan. 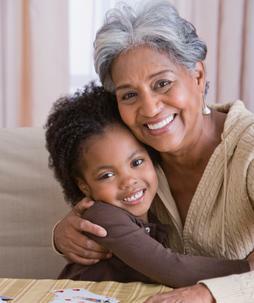 Our office drafts wills, trusts, living wills, will substitutes and all types of documents that compose an estate plan. Give us a call today. 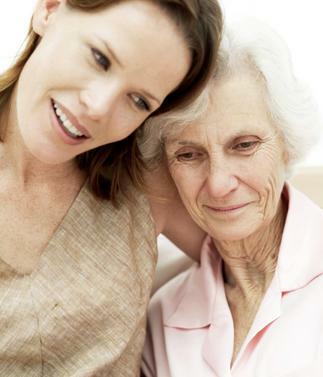 What do I do when Mom, Dad, or Spouse can no longer take care of themselves? If a loved one is having difficulty making appropriate day to day decisions, it may be necessary to apply to the Probate Court to have yourself or someone appointed to make those decisions. A guardian is a person who has the legal authority (and the corresponding duty) to make the day to day decisions and care for the personal interests of another person, called a protectee. Usually, a person has the status of guardian because the protectee is incapable of caring for his or her own interests due to infancy, incapacity, or disability. A conservator is a person who has the legal authority to control the finances and assets of protectee. 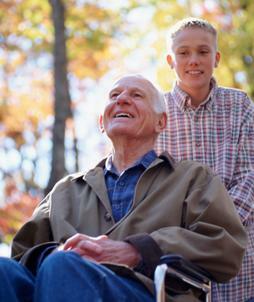 Our office handles petitions for guardianship and conservatorship. If you are thinking about filing a petition to seek guardianship or conservatorship over a parent, spouse, or child, call our office today. What happens when someone files a petition for guardianship or conservatorship and the protectee is fine to care for himself or herself? Sometimes petitions are erroneously filed, and the protectee is fully capable of caring for himself or herself. Our office is experienced in filing petitions and in defending protectees that are capable of caring for their own needs. Call us today to schedule an appointment. My loved one has died what should I do? First, take time to grieve. There are few things that need to be done immediately, you have one year from the date of death to open a probate estate. Testate estate - the decedent had a will. Any property in the decedent's name only at the time of his/her death will be distributed pursuant to the will through the probate court. Intestate estate - the decedent did not have a will. Any property in the decedent's name only at the time of his/her death will be distributed to the heirs at law. The property would pass to the decedent's spouse, if any, and to the heirs at law depending on many factors.